In the sport of Motocross racing competing against others is the motivation. Simply crossing the finish line is no longer in question. The only questions are how fast can we get to the finish line and who can we beat along the way? In this sport in which we are trying to promote better fitness, improved strength and proper nutrition, is this really healthy? Competing against others and even comparing ones abilities in relations to others is described as being ego goal orientated. The opposite of this is referred to as being task goal orientated. In a task goal situation, a rider focuses on the mastery of his skill to perform to the best of his ability. Whereas in ego goal situation, it is merely, who he can beat. Being ego goal driven you have no control over the situation. You are trying to beat whoever is there. Even though you don’t know what their speed is, or even how fit they are. Whereas, if you are task goal driven you have control over the situation because you know who you are, what you are, and what you can do. How does all this affect a rider when competing at the highest level of his sport against the best in the world? Is it even possible for him to stay within himself? If not, why do fluctuations occur? I guess that it will all come back to whether you are ego goal driven, or task goal driven. So, based on the approach of task goal orientation, if you are able to look within yourself and master your own ability, you won’t have to look anywhere else. Especially not over your shoulder. 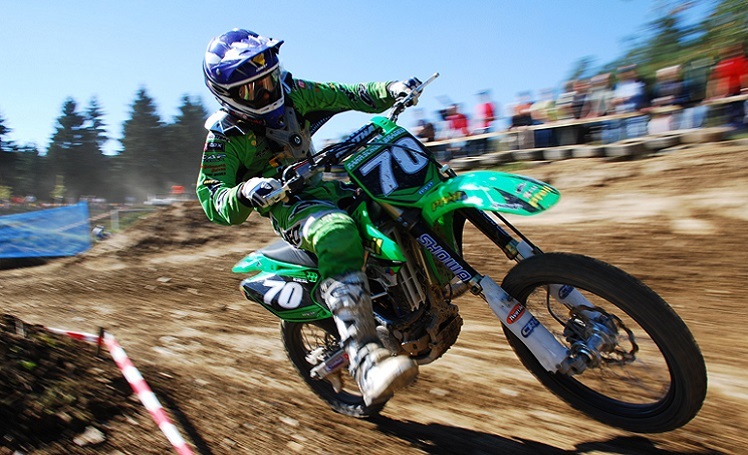 For more Motocross racing tips, read my article Mind Management for Motocross Racing.